Minimalist Wallet (cat paw walk) Lightweight, minimalist shape Embellished with hollow animal paws to indicate animal leisure walking feeling Lightweight and simple coin purse, Let you go out no longer have a thick wallet, Open the front obliquely open, you can put your travel card, icash card Zippered inner layer, put a few invoices or change, It's easy to go out without any burden. Leisurely shopping is as light as walking a small animal. ※Can also be used as business card holders, clips. Washed kraft paper sewing, resistant to washing and pulling. Extremely durable. 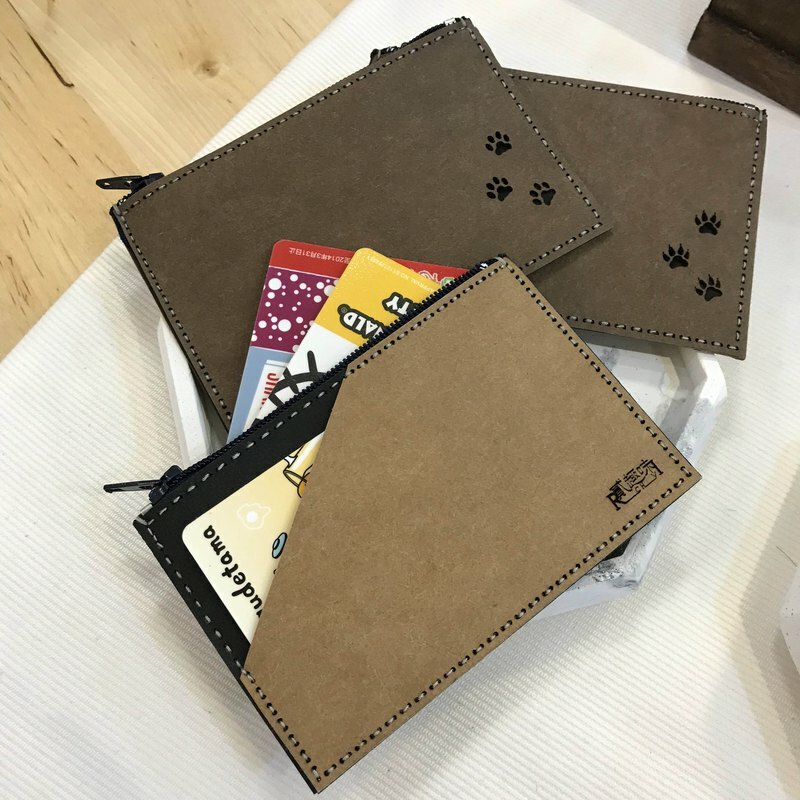 There is also dog paw version (with claws) Name: Minimalist Wallet (cat paw walk) Origin: Taiwan Material: Washed kraft paper Size: W11.1xH7.1xD0.2cm Weight: 10g ※ Hand-made products, each group will be a bit error with the photo!